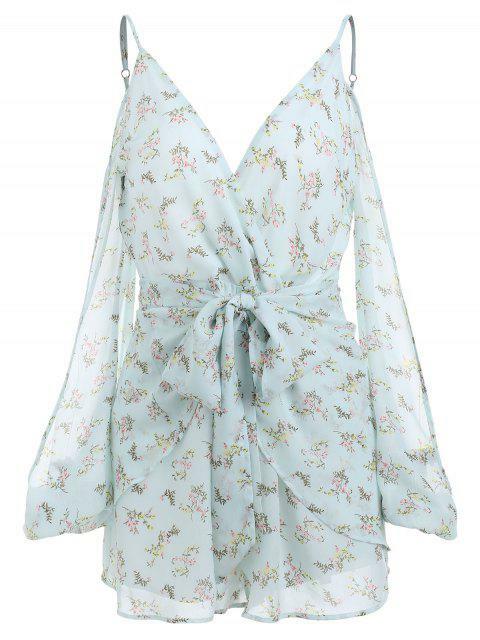 [40% OFF] 2019 Floral Slit Sleeve Spaghetti Strap Romper In LIGHT GREEN | ZAFUL ..
Sweet romper crafts from beautiful tiny floral pattern. Front and back plunging v with slit sleeves. Cute front bow tie details.